So many requests for this one! PSK with “There’s an oil for that!” combo, in a horizontal banner! The majority of the request wanted lots of colors! We hope this fits the bill! This is a high-quality 6′ x 2.5′ banner. Make your next event POP! Enjoy. This short video will show you how to upload this banner to Vista Print. Click/touch here to go to Vista Print and upload this banner. Remember this banner is HORIZONTAL so be sure to select HORIZONTAL instead of vertical. Do not forget to purchase some heavy-duty zip ties. Run one through each grommet and attach to your canopy. Tighten (but not too tight, leave room to cut tie with scissors when your event is complete). Click/touch this link to order heavy-duty zip ties, for this banner, directly from Amazon. 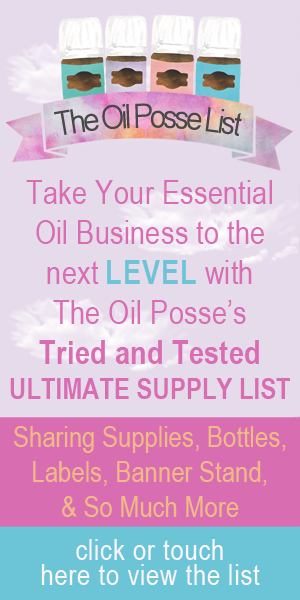 This entry was posted in Banners, Marketing Material, PSK, Vendor Events and tagged Banners, Horizontal, PSK, The Oil Posse, Vendor Events on April 2, 2018 by Jordyn Lei. The banner size is stated in the first paragraph of the post. Thanks for writing. When I download the banner it comes as 300 dpi however at a size of only 17.75 X 7.55 inches. I have downloaded several banners and they are all pulling at that size. Shouldn’t they all come at 6 X 2.5 Feet? Great question. The short answer is no. If we provided you the design at “actual size” the file would be ridiculously large. Thus the reason for providing the design at 300 dpi, so it will enlarge properly. We design all of our designs to meet the precise specifications given by either VistaPrint or Moo (in this case, VistaPrint). If you were to try to enlarge a photo at 72 dpi (typical web image size) the image would be blurry and nearly impossible to recognize, depending on how much you were enlarging it. If you try to enlarge a photo at 150 dpi you would find it more recognizable and not too bad but still blurry, again, depending on how much you were enlarging it to… now, take the same photo/image at 300 dpi and now you are able to enlarge it without losing the quality. I hope this helps. You have other banners that download at full size. The #1 world leader banner and the white background Oil for that banner both download at full size of 300DIP 6 X 2.5. This specific file as well as another banner download too small. When they are in-larged at the size you indicated it should be, it brings the file down to 72DIP and can’t be printed. Sorry, incorrect. There must be a glitch on your end. All designs meet the specific requirements set forth by VistaPrint. Thanks for writing.